A website that lists private sale properties and calls itself “the all in one property marketplace” has valued itself on a crowdfunding site at £10m. TheHouseShop - until 2015 known as The Little House Company - is controversial in the eyes of some because it allows individuals to list, alongside agents and developers. In 2016 it also took over the Accessible Property Register, a website specialising in promoting wheelchair-accessible homes. 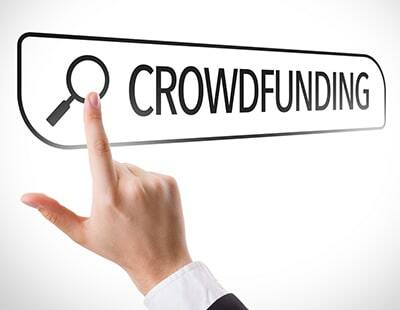 Now it is crowdfunding for additional money, seeking another £500,000 on the Crowdcube website. Its pitch values itself, before any new fund raising, at £10m. It says it raised £1.75m to launch itself and since then has listed three million properties, and had 800,000 visits in one particular month - January this year. It describes itself as having a “scalable business model with diverse revenue streams” and is regulated by the Financial Conduct Authority allowing the direct sale of insurance products. “We enable landlords, sellers, agents, renters and buyers to co-exist on a secure and trusted platform, providing equal access to free property listings and over 30 smart services. We sit at the centre of every property transaction, helping consumers to transact and gaining valuable insight and market knowledge” the pitch continues. “We are not an online estate agent, or a property portal. Instead, we combine our competitors' services onto a single platform. We do not exclude any segment of the market. Instead we encourage choice and facilitate transactions - whether private or professional. We’ve created diverse revenue streams and developed products with the aim of establishing ongoing revenue generation” it goes on. This call for additional funding comes as online agency Emoov - which undertook a successful crowdfunding round earlier this year - is now scrambling to find a buyer, and after a recent successful crowdfunding campaign by another online operator, Doorsteps. 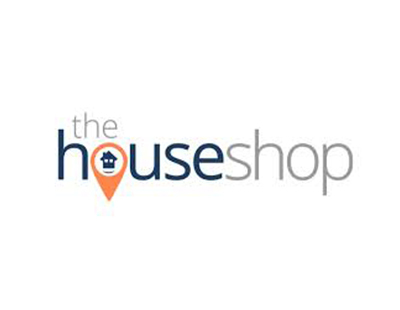 With 15 days left, TheHouseShop has raised over £160,000, around a third of its goal: the funding site currently is available only to “selected investors” but the platform’s founder, Nick Marr, says it will be launching to “the broader community” next week. A clunky awkward website which refers any potential vendors to YOPA (partner). There's one overpriced property for sale within 5 miles of my office. ...it's the rather dull, but important "cost of customer acquisition", how much does it cost to get a customer to the site and them to generate revenue. Most companies seriously underestimate this and when your main income derives from referral fees, it is a vital number. It also increases rapidly with competition and as soon as anyone thinks your onto something copy cats will appear quicker than a long lost relative after a lottery win. In the late 90's when Amazon was really making a grab for customers, it was spending £70 per new customer.... which at the time seemed insane... the good thing was they had the cash to do it.... but more importantly, their shoppers repeat purchase year after year. That is unlikely to happen here. There is also another issue, one stop shops rarely work well, especially in one large transactions. They work better for lots of little purchases which don't warrant spending the time shopping around. Being heavily reliant on third parties to deliver the service to the consumer creates a fundemental flaw too. As soon as you do that you move the relationship to the supplier.... next time that person needs that service again.... they go straight to the supplier... cutting you "the introducer" out in most cases. So you lose the Amazon style repeat purchases. In most industries specialist and niche players are the ones that make the profit. If an agent or a website like PB or YOPA were to offer their services totally for free, would their market share increase dramatically, would they dominate? If the answer is no, then it disproves their model. If the answer is yes, then we are all doomed! I reckon the answer is a resounding NO. The reason as we all know is, sellers in their hundreds of thousands, don't see fee as being the main motivator for using an agent and indeed see the opposite. It's about VALUE. Why was it last week that the seller of "Portrait of an Artist" by the painter David Hockney chose to pay a multimillion pound commission to Christie's Auction House to acheive the record beating £70m price tag for a living artist, rather than whack it on Ebay or Gumtree for a very low fixed fee? The principle answers to that is also why good agents charging % fees will probably be around for another few decades yet.